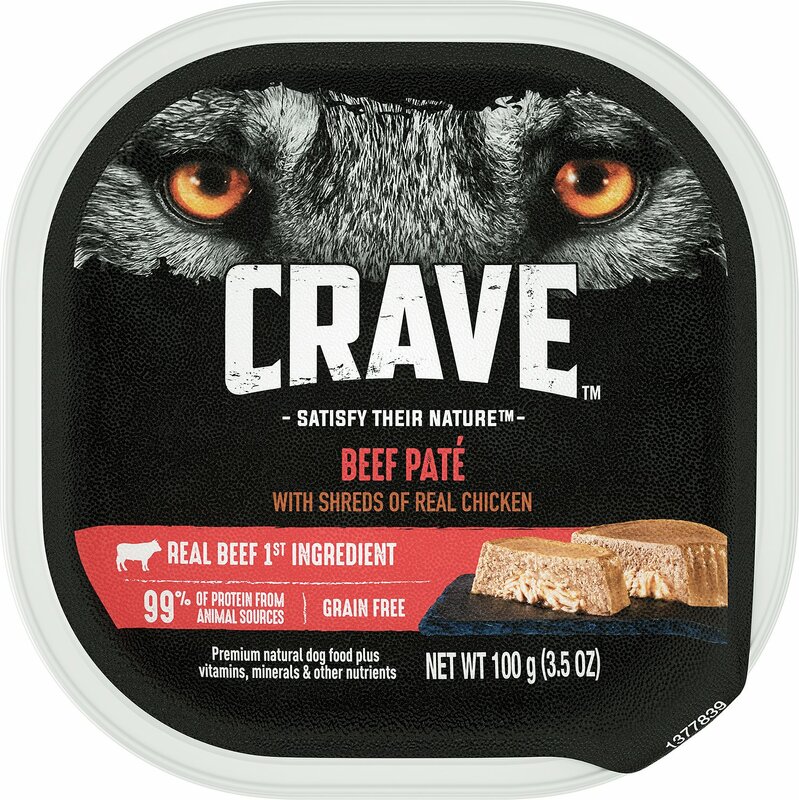 Satisfy your pup’s meat-craving nature with the Crave Beef Pate with Shreds of Real Chicken Grain-Free Dog Food Trays. The mouth-watering combo of pate and real shredded meat is made with beef as the first ingredient so it packs plenty of protein for lean muscles, and the meaty flavor dogs love. 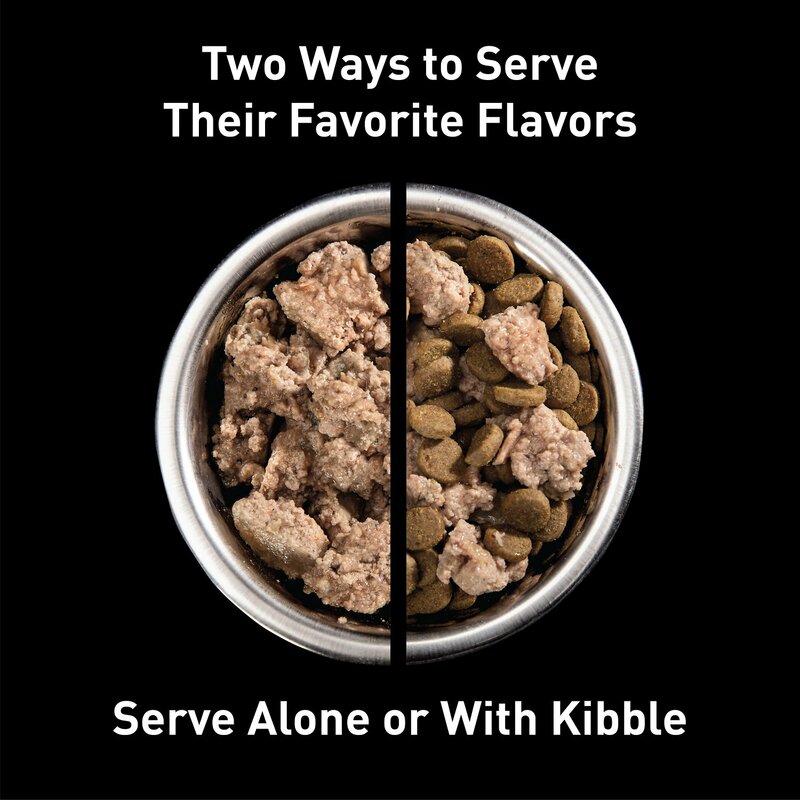 Since every bite is loaded with essential nutrients your pal needs to look and feel his best – like vitamins, minerals, omegas and antioxidants – it’s a balanced and complete diet in every tray, on its own or mixed in with kibble. 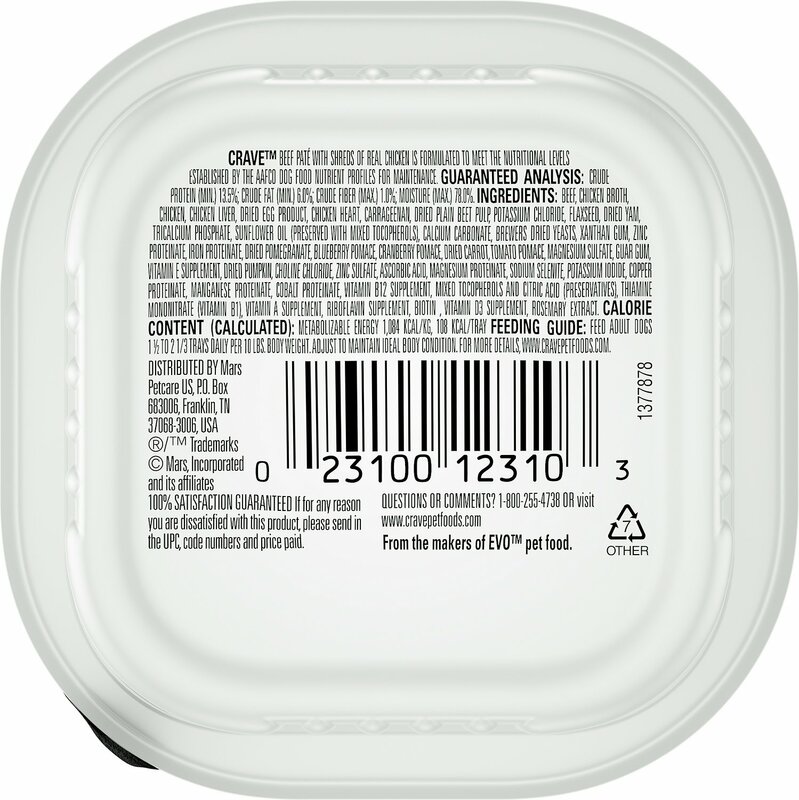 So tear one open with the easy-peel tab, and get ready for all that tail wagging. 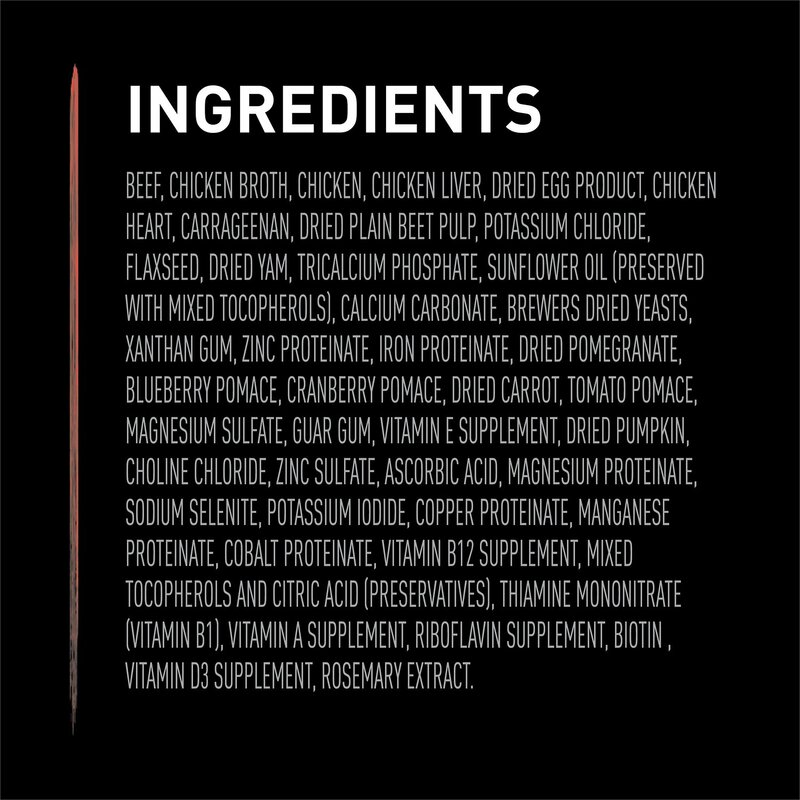 Grain-free wet food recipe is made with beef as the first ingredient and 99% animal-sourced protein. 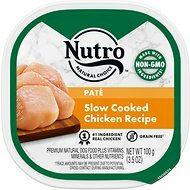 Texture combo of protein-packed beef pate and real shredded chicken is great for picky eaters, making meals tasty and easy to feed. Feed up to 1 1/2 - 2 1/3 trays daily for every 10 pounds of your dog's body weight. OH MY GOD!! AS SOON AS I OPENED IT AND PLACED IT ON MY LITTLE CRITTERS PLATES THEY SCARFED IT DOWN.. A COUPLE OF SNIFFS BECAUSE IT WAS SOMETHING NEW THEN IN LESS THAN A SECOND... GONE!!! THE FACT THAT IT'S GRAIN FREE IS A PLUS!! THIS IS GREAT! MY DOGS ARE HAPPY, IM HAPPY!! ALTHOUGH I WISH THEY WOULD HAVE THE BIG CANS OR THE 13 OZ. CANS INSTEAD OF THESE SMALL CEASARS LOOKING TRAYS, THAT'S THE ONLY REASON WHY I SUBTRACTED A STAR. Loves it. I like to give my dog a variety of food, dry and wet. Nice to have such a variety to choose from. 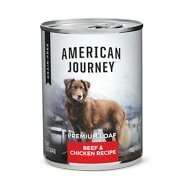 My dogs love the consistency of this food. I like that the first ingredient is meat. It is a good food and it is good for them. The only negative is it is pricey. I started buying this food for a 15 year old poodle girl I rescued two months ago. She was emaciated weighing 11lbs and depressed and having seizures from living in a garage for three years. This crave has really enticed her to eat. She now weighs 16lbs and is happy. If you saw her you'd never know she's turning 16 yrs old in October 2018. I sampled this product thinking it might be a good treat for my dog who usually only gets dry food, and boy was I right! She gobbled down the first tray with lightning speed, and for the next few days until I ran out she was eagerly waiting for me to put the Crave into her bowl and eat that first. I love that it's grain free. I know a little grain is good for dogs, helps with digestion, but she gets enough of it in her dry food. 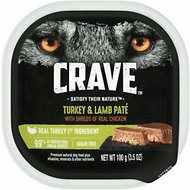 The Crave Beef Pate looks like real food too, and doesn't smell as gross as other canned dog food that I usually avoid. I'll definitely be purchasing more for my dog, and I can already see the drips of anticipatory drool on the floor in front of her bowl!